Ifyou’re interested in the mobile industry, it’s a good idea for you to start following Games 4 Mobile. A sausage runs around the kitchen, keeping away from knives — and that’s the whole story. The entire game-play revolves around controlling the sausage’s speed while avoiding sharp kitchen tools. There are a few different types of knives that you can’t touch, hammers that can squash you, a cat which can eat you, and a stove that can singe you. 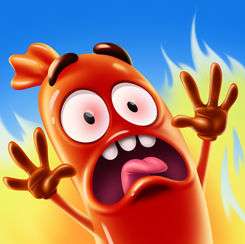 In the game, you’re a kind of sausage which can bend and run faster. It might seem like there’s nothing new here that hasn’t been seen before in the world of gaming, but that’s only partly true. From a perspective of game-play, there’s not much new: hyper casual games like these are a dime a dozen on the market today from some of the leading developers, including Ketchapp, Voodoo, Gram, BitMango, and Cheetah. But what’s led to the success of veteran developer TabTale to innovate is this cute narrative which translates wonderfully to a high rating in stores and millions of user installations. 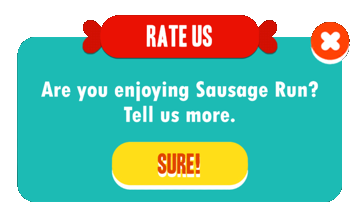 Note that that the narrative here involves a sausage running around the kitchen, so we’re not dealing with common search keywords in game stores like “slots,” “sugar,” or “candy” — but rather, the word “sausage,” a word with which it’s easy to get prominently ranked in stores. And of course, adding “run” as in “Temple Run” or “Subway Surfers” helped a great deal, too. So it all starts with a name, “Run Sausage Run!” — an uncommon and even trivial name which doesn’t directly let you know what the game is about, but which arouses interest or curiosity. Why is the sausage running? What’s it running from? How important is an icon? Tremendously important. For every icon, there’s about a three-second window to convince us to click. In this case, the name and the icon work wonderfully together. Here, too, you can find the correct use of humor and good timing. 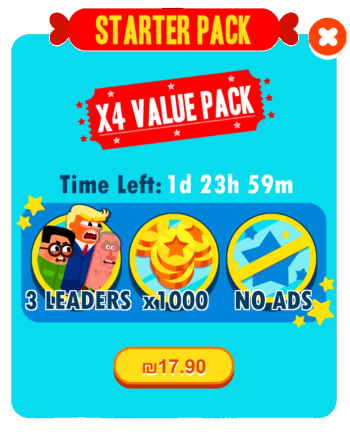 The user who breaks a record or makes a very successful attempt will give the game five stars. When lots of users give a high rating in a short time period, stores will rank the game higher and higher, which of course leads to a lot more organic downloads. If you’ve already made a game which features a running sausage, why not make a sausage that looks like Donald Trump? This might serve the game nicely: users would notice and send it to their friends, sharing the image of the president as a sausage running around in the kitchen. Of course, there are lots of other type of hot dogs out there, like ninja, cactus, hair dude, robot, cowboy, and more — all the various characters that have proven popular with Americans over and over again. Usually, the goal of music in casual games is to create a pleasant, comfortable atmosphere during the game. In Run Sausage Run!, the choice of silly, rhythmic music was very carefully done, and plays an important role in the game. Even more brilliant use of music was made in video ads for the game (link). Because of its wonderful narrative, its amusing icon and video , this game has received and continues to receive an irrationally high number of downloads. But the content isn’t enough. We can see this also in low retention statistics in comparison with other games in the category. Overall, the game is quite repetitive and doesn’t really innovate. There are a limited number of obstacles which repeat along the way. There’s still a long way to go to enhance this game, including the little touches — improvements and additions — which could add a lot of content, and I’m not talking about new types of sausages. The game itself has been a robust marketing success, outpacing many competitors, and the opportunities for monetization are plentiful, but in my opinion, the importance of improving gameplay and retaining users should be given precedence over anything else. For indie developers and anyone else who loves casual / free to play gaming, I recommend reading this post and of course, you’re welcome to reply if you like what you read.